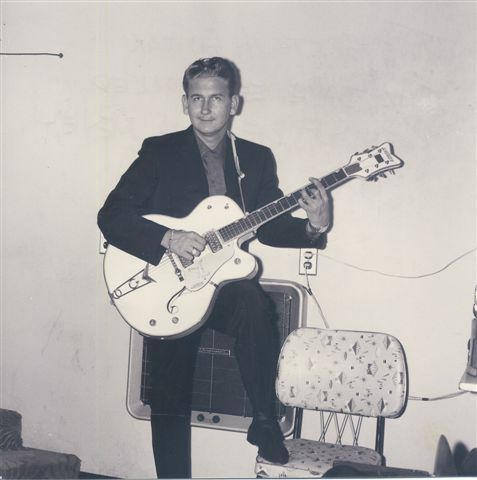 Roy Orbison in the early 1960s with his Gretsch White Falcon guitar. This early photo and YouTube video was before he began coloring his hair black like Elvis, wearing shades like Buddy and Beatle boots. Roy would later comment: “The Gretsch White Falcon wasn’t much of a guitar, so I took a hammer and knocked the neck off.” “I had some professionals put a Gibson Super 400 neck on it along with steel guitar pickups and it was sprayed black.” “This was a new creation, a great guitar.” Sometime later when a couple of executives from a guitar manufacturer from Japan saw Roy playing the hybrid at one of his concerts they conned him into letting them have it. They convinced Roy they would take it to Japan making copies of it in which he would receive royalties. Roy never got it back, no royalties, no guitar, no nothing. Roy owned 12 different model guitars during his career. 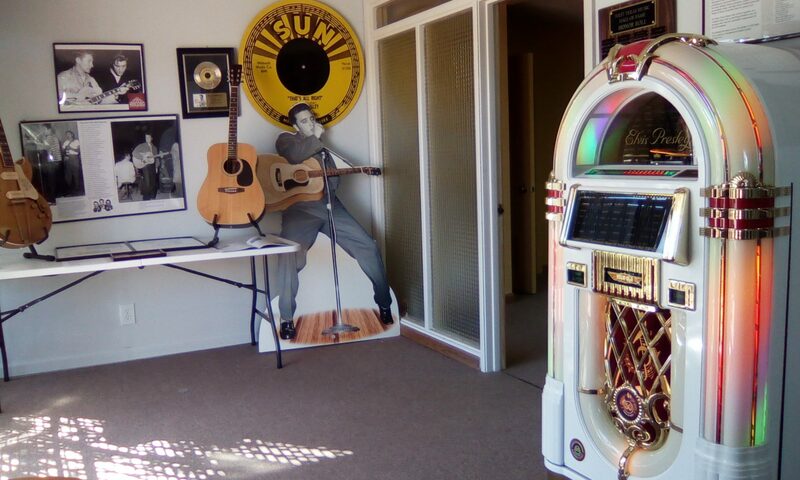 In 1956 he played a Les Paul Gold Top on his first charted release “Ooby Dooby” recorded at Sun Records. “Only The Lonely” (Grammy: Hall of Fame co-written by Roy & Joe Melson from Midland, Texas) YouTube video is around 1960 in which the song reached #2 being kept of out of #1 by “Alley Oop” a silly number by prolific producer/performer Gary Paxton released as The Hollywood Argyles. Roy’s first wife, Claudette (24), died in a motorcycle accident in 1966, two young sons Roy Dewayne (10) Anthony (6) died in a fire in 1968, Roy died of a heart attack in 1988 from years of heavy smoking and his second wife Barbara Orbison (60) from Germany died in 2011 of cancer on the 23rd anniversary of Roy’s death. She was 60. Roy’s co-writer Bill Dees (72) from Borger, Texas on his biggest hit “Oh, Pretty Woman” died October 24, 2012 of a brain tumor.